HTA Aviation offers on-site training for Astra/G100. FORT WORTH, TX. 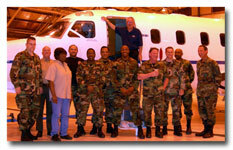 May 15, 2006 – HTA Aviation, LLC, a privately held small business entity launches Training Programs and offers specialized instruction/training on the Astra/G100 aircraft. “The launching of this Program demonstrates our continued commitment to provide the most advanced services and support for our customers” said Steve Brown, Vice President of HTA Aviation. It is exciting to see the response to our first class with a 100 percent fill rate for the specific instruction class to enhanced support for the Astra SPX/G100 fleet. HTA Aviation offers four Training Classes for the Astra/G100 aircraft; Initial, Refresher, Flap/Slat Maintenance and Trouble-shooting, and Advance Electrical/Avionics Trouble-shooting. 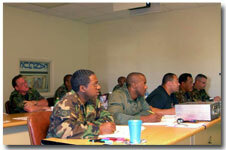 It is a tremendous advantage to the operator in providing these week long classes at the operator’s site. 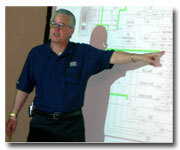 Each class is tailored to be specific training for the customer’s unique operation. Instructor, Bill Schieber, is one of the most knowledgeable people concerning the Astra/G100 aircraft. His experience started with the very first Astra delivered to this country when he trained the maintenance technicians and issued them a license. Bill presents and teaches what is of importance to the maintenance and operation of the aircraft with an emphasis on safety. HTA Aviation, LLC, a privately held company, providing superior Contractor Logistics Support (CLS), Contractor Operated and Maintained Base Supply (COMBS), and Training services for our government. HTA also offers Service Engineering (DER & PMA), Management, Training, Technical Publications, and Consulting Services for the business aviation industry.